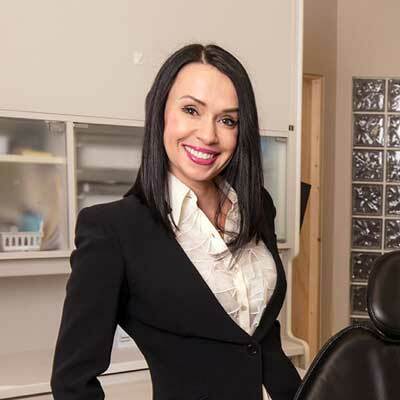 Dr. Bozena Reszka graduated in 1995 from the University of Alberta’s School of Dentistry with a Doctorate in Dental Surgery. Dr. Reszka is a General Dentist with extensive dental training and experience. She truly enjoys all aspects of dentistry from basic fillings, root canals, and tooth removal to Reconstructive Dentistry. Dr. Reszka also possesses a special interest in Cosmetic Dentistry. Dr. Reszka is committed to providing each of her patients with the most comprehensive treatment available. Her dedication to continuing education and ongoing training reflect her passion for dentistry. Bozena and her husband enjoy the active Calgary lifestyle. In her spare time, Bozena enjoys reading, gardening, hiking and playing tennis. Her other passions include cooking, baking and creating new recipes.